Statement by Sevim Dagdelen, Member of the German Left Party, concerning the preparations of war by Turkey. Mrs. Dağdelen is a German politician of Turkish origin and a member of the Left Party in Germany. Mrs. Dagdelen (Dagdalen) is also a Member of the German Bundestag. In 2012, Mrs. Dağdelen was also faced with the hypocritical criticism for the signing a controversial pamphlet, which has accused the United States with the preparation of the war against Syria and Iran. “The Turkish military buildup on the Syrian border and the open threats of violence by the Turkish government is a blatant breach of international law. It is in line with the ongoing policy of repression to the inside and the aggression to the outside by the government of Erdogan. According to the Turkish government, the Turkish fighter jet, that was downed on Friday, had previously penetrated the Syrian airspace at high speed in a height between 60 and 100 meters. “While the Turkish government is, at least, tolerates the deliveries of arms to the “Free Syrian Army” (FSA) and international forces in Syria and is giving them a base of operation, the Turkish government has unabashedly conceded that they had penetrated the Syrian airspace already several times in the past few weeks. It almost seems as if they wanted to downright conjure up such an incident, in order to provoke the beginning of an illegal war of aggression. Unfortunately, NATO has failed to reprimand the Turkish intervention against international law, and instead, has issued a blank check to Turkey for further escalation actions. 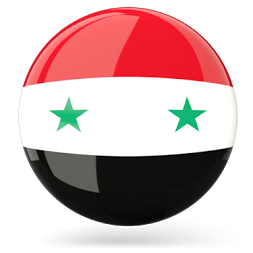 With this backing, Turkey is currently carrying out an unprecedented concentration of troops to the Syrian border, and has declared, that even Syrian troop movements near the border would be regarded as a hostile act. It seems only a matter of time before this will result in a new incident, which will be able to bring NATO into an additional pressure for action, and it is known how NATO responds in such situations: with war, because otherwise they cannot do anything. In order to de-escalated the situation it can now only contribute, that the governments within and beyond NATO profess to the facts and condemn the Turkish intervention against international laws in the conflict in Syria, which happens since months, to recognize the Turkish contribution to the escalation, and to also exclude the implementation of the NATO alliance-case (SN: North Atlantic Treaty – Key section of treaty was the Article V. This committed each NATO member state to consider an armed attack against one state to be an armed attack against all states) for the future, against the background of the Turkish aggression. “Mrs. Dagdelen”, she is a female.